What God creates, God loves; and what God loves, God loves everlastingly. I hope that you will hold on to those words. They are the thread that runs through everything we will do here today. They are the thread that runs through everything I will say to you. They are the thread that ran through Tommy’s life, his dying, and his being raised up to new life. They are the thread that continues to tie his life to yours and yours to his. This thread of love weaves through today’s liturgy and the scriptures we heard. It’s the steadfast love of the Lord that never ceases (Lamentations 3:22-23). It’s love that brings good news to the poor, binds up the brokenhearted, proclaims liberty to the captive, and release to the prisoner (Isaiah 61:1-3). It’s the kind of love from which we can never be separated (Romans 8:35-39). And it’s love that is embodied in the image of the Good Shepherd (Psalm 23; John 10:11-16). Tommy knew this love. He lived this love. I saw it in his eyes. I heard it in his stories. Now he didn’t talk about it in today’s context of liturgy and scripture, in terms of Jesus, the church, or faith. And that’s ok. Love is bigger than all that. And it shows itself in a thousand different ways. I first met Tommy in January of this year. Dr. Shudde called me and said, “I want you to meet a good friend of mine.” We met and visited a couple of times. Shortly after that he moved out of town. In September the hospice chaplain called me and said Tommy was back in town and had asked if I would come see him, and we began having regular visits. I was with Tommy about a week before he died. He said, “I am not a believer.” I’m not sure if that was a confession, a simple statement of fact, or a test of me. It doesn’t really matter. I wasn’t there because he was a believer. And neither was I there because I was worried that he didn’t believe. I appreciated his honesty. Sometimes I don’t believe and sometimes I’m not sure what I believe. Chances are that if I had asked him what he didn’t believe, I probably don’t believe some of those things either. And if each of us here today stood up and said what we believed there would probably be some diversity of beliefs and even disagreement about what it means or takes to be a believer. I’ll always trust what God believes about us more than I trust what we believe about God. What God believes about us is grounded in and is an expression of God’s everlasting love. I wasn’t there with Tommy then and I am not here today to turn him into a believer. I was there that day and I’m here today because he opened the gate of his life to me. He invited me in. I’m betting that’s why you are here today too. He opened to you the gate of his life, the gate of his love, the gate of his kindness, the gate of his generosity. I wonder how he did that for you. In what ways did he open his gate to you? How did he touch your life? What did he give you? A couple of weeks ago I was talking with Tommy’s nephew and he described Tommy as “the number one gate opener.” He said that Tommy loved being on the ranch with his grandfather opening gates, and that he did it for years, as a young boy and through his teenage years into early adulthood. There was also something about being on the ranch that opened gates for Tommy. His nephew told me that when Tommy was on the ranch he didn’t stutter. It wasn’t just that his tongue was unlocked, his life was unlocked. And that’s about love. Love opens gates in all sorts of ways. Tommy learned to unlock and open gates on the ranch. And it was an ongoing lesson. But isn’t that true for all of us? Sometimes we unlock and open the gates of our life to another and sometime we close and lock them. Sometimes we walk through the open gate another offers us and sometimes we are unable or unwilling, for whatever reason, to walk in. Tommy knew that about himself. During my last visit when he was still able to talk he said to me, “I didn’t always get what I wanted but I’ve had a good life.” Some gates were open and others were closed. And that’s about love. He told me that in the same conversation that he told me he wasn’t a believer. He occasionally looked at me as he was talking but mostly he was gazing across the room. I followed his gaze to a picture on the mantel above the fireplace, a picture of Myra Jo. “Tell me about her,” I asked. He smiled and shook his head. “I will never get over her,” he said. Tommy was still in love. Tommy may not have been a believer, whatever that means, but he was a lover. He knew a love stronger than death and he is known by a love stronger than death. That’s what we hang onto today. That’s what this day is about. What God creates, God loves; and what God loves, God loves everlastingly. The gate is always wide open. This is beautiful Mike. I know it brought comfort to Tommy’s family and friends. I knew several of his family members but only knew Tommy when I saw him on rare occasions at the grocery store. Thank you for being there for him. I know it meant a lot. “Opening Gates” as pure a proclamation of the Gospel (the real one, in its purity as Luther would say ) at a funeral as I’ve ever heard! I wish I heard more such funeral sermons. Perhaps more mourners hearing sermons like these might return to church the following Sunday. But even if they don’t….. Thank you Doug. I suspect I was preaching as much to myself as anyone else. Your image of opening gates is exactly what the Archdiocese of Detroit is doing with their “Unleash the Gospel”. It almost always seems that what you say and what’s happening around me come together like this does. This is beautiful imagery. It would be a comforting message for me to hear when we’ve had a death. I hope it was comforting to you Jeri. The gates are open to everyone. This is so wonderfully said. If there is love, compassion, beauty and wonder….God is present. We judge, but Love does not. Love can only love. Thank you for this sharing… it is applicable to all of us, to everyone we know, all the time. “We judge, but Love does not.” Well said Diana. Thank you for this. Reading this has been so helpful to me. Thanks Joyce. I am glad it was helpful and hope it pointed you to open gates. I have been quoting that for years in defence of people saying things like…..
O He isn’t a Christian! 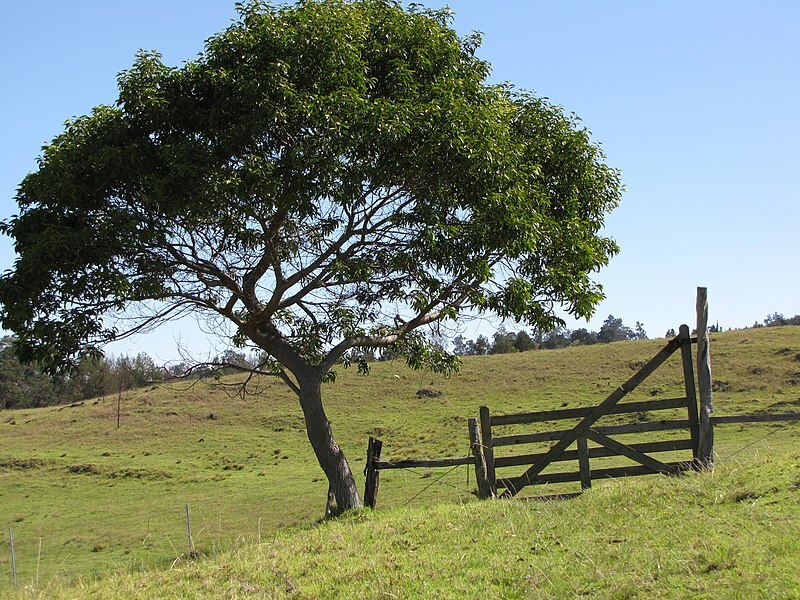 You have opened a gate or thousands in your life….. thank you fro your discerning ministry. I love reading your sermons. From one who still tries to write them after 40 years in ministry! Thank you, Helen, for reading my blog. I am glad to hear from “down under Kiwi land.” It sounds like you have been opening gates for a long time. Blessings on your ministry. Our world is so full of violence, I crave your words of kindness and caring. Thank you for your posts. Blessings and peace be with you Margaret. Wow! How truly profound! I really enjoyed reading this and I love the fact that you didn’t try to sit in judgement, you simply met him where he was, spiritually. How very loving, just like our Father! What a great testament of faith! Thank you Bonny. I know that Tommy opened some gates for me. Judgment always seems to close gates. And we already have more than enough that. Next Next post: Shh, Be Quiet, It’s Advent.